If you’re wondering where that name came from, you were probably born north of the Mason-Dixon Line. As any good Southerner knows, “cat head” is a time-honored reference to a blues musician from the Mississippi Delta. And for music lovers Richard Patrick and Austin Evans, no other name would do for their start-up vodka company. 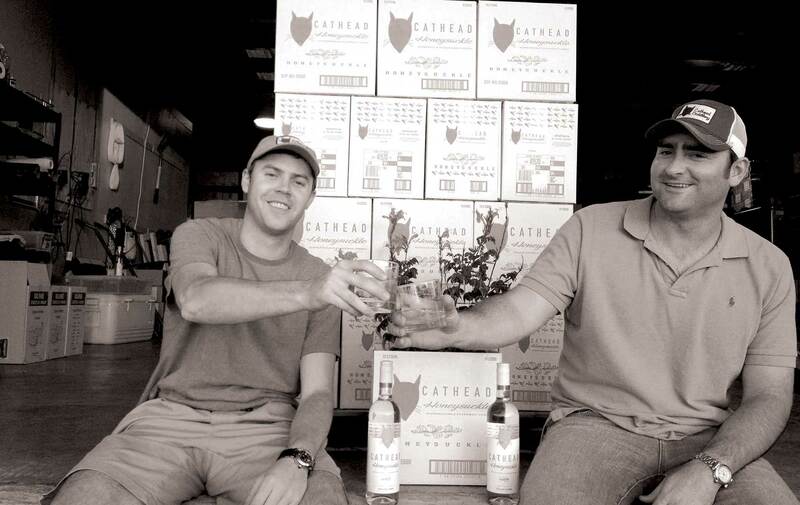 Cathead Vodka is the brainchild of these business school buddies who shared an interest in the entrepreneurial life as well as the blues. Their stellar education, combined with a family background of small business ownership on both sides, seems like a surefire recipe for success. However, Patrick and Evans deliberately chose the path of most resistance by attempting to locate their fledgling company in Mississippi, a state that had never granted a legal distillery license. Ever. In its entire history. Mississippi, the final holdout in the repeal of Prohibition, has a rich heritage of bootlegging. And its complex liquor laws make it nearly impossible to operate a distillery within its borders. “No one thought it could be done here,” Patrick says with a hint of well-deserved pride. The trick, as it turned out, was good old-fashioned persistence in the face of obstacles—like stacks of state regulations as thick as three phonebooks. Paperwork aside, they also had to come up with $10,000 for a manufacturing license, a hefty sum for a start-up—much higher than the $500 to $2,000 fees imposed by other states. Yet another impediment calculated to discourage would-be distillery owners. But their patience and refusal to just go away already eventually earned Patrick and Evans the right to call Gluckstadt, Mississippi, home to Cathead Vodka. Like all their products, it will support charities—like the Music Maker Relief Foundation (MMRF) and the Yoknapatawpha Arts Council—that are important to the cofounders. When their whiskey comes to market in late summer, it will be with a label bearing the name Bottle Tree Beverage Company rather than Cathead, but it will still have plenty of “cat head” in it. Like all their products, it will support charities—like the Music Maker Relief Foundation (MMRF) and the Yoknapatawpha Arts Council—that are important to the cofounders. “Yoknapatawpha is an arts council for Oxford and Lafayette County, and they really embody the preservation of Mississippi’s heritage,” Patrick comments.